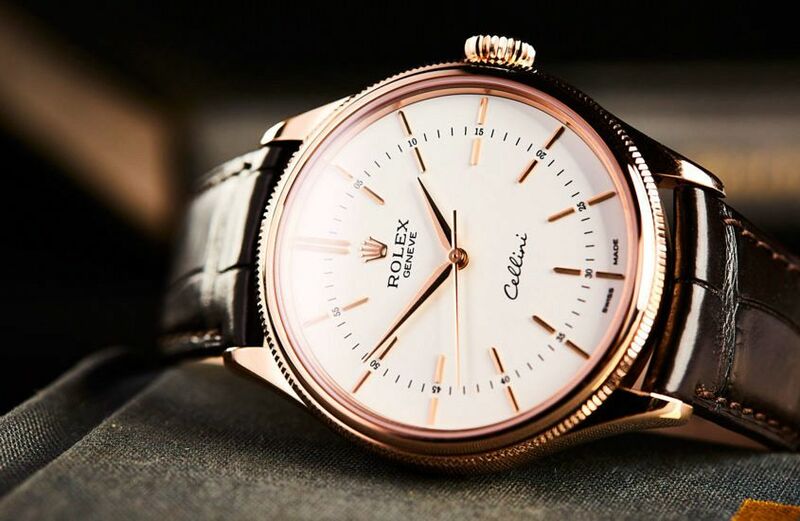 When the Rolex Cellini range was relaunched by Rolex in 2014 – including the Cellini Time – the General Manager of Rolex Australia, Patrick Boutellier, chose a line of poetry to announce the news: “The sleeping Prince has been awoken,” he said, or words to that effect, as Felix and I pored over the new range, not quite sure what to think. We were certainly intrigued by these classic, luxurious faces amongst other more colourful offerings, such as the white gold ‘Pepsi’ GMT-Master II and the new Milgauss. The light embroidery of poetry and classicism in Patrick’s description somehow attached itself to the watch in that moment, and the more I’ve learned about it, the more this type of fairytale mystery fits. But how would it wear? What would I wear it with? What else would I learn about this seemingly simple design on the wrist? I found out by wearing it for a week. My first impression was… This is a classic watch, tuned to utter perfection. 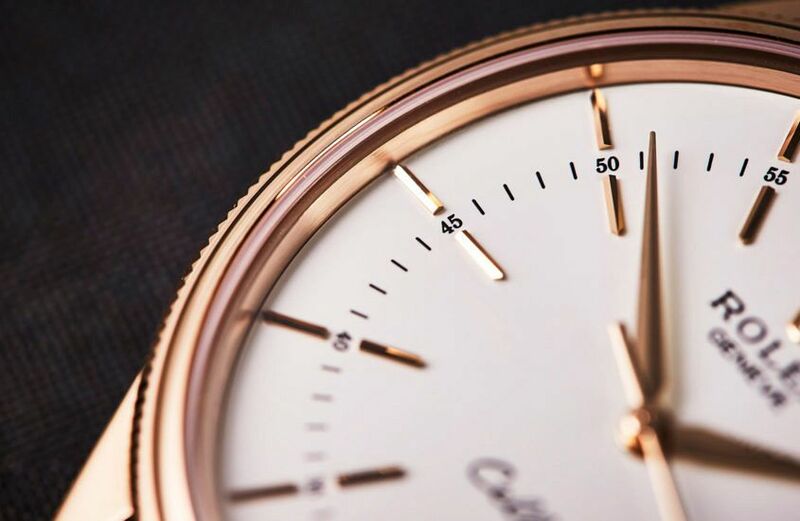 The Cellini Time represents a design from another time, and as we mentioned in the first video review of the Cellini Date, is often pitched against the three-handed heavyweights, being the Vacheron Constantin Patrimony and the Patek Philippe Calatrava. 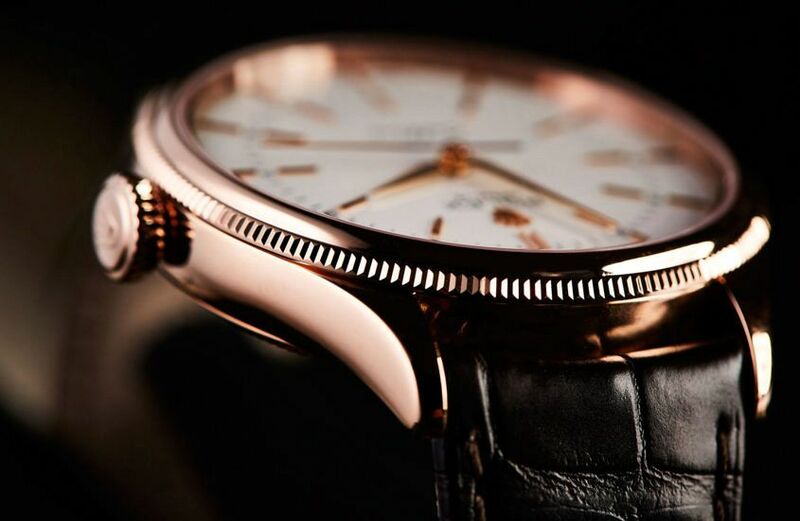 It deserves to be mentioned in this company, and this model is, for me, the pick of the wider Cellini range. Some of the font elements of the previous model didn’t age too well. Those stretched Roman numerals for example. This iteration gets absolutely everything right, especially the new cleaner, even more classic dial. Once I put it on, it felt… like no other Rolex I’ve worn, thanks in large part to its extremely slim case profile. It’s among the slimmest in the catalogue, and thanks to those tapered lugs it sits very close to the wrist. The polished ‘bubble back’ caseback gives it a more cushiony wrist-feel to my GMT-Master II, which is a watch I wear most days. It’s extremely comfortable. Looks-wise… it really surprised me. 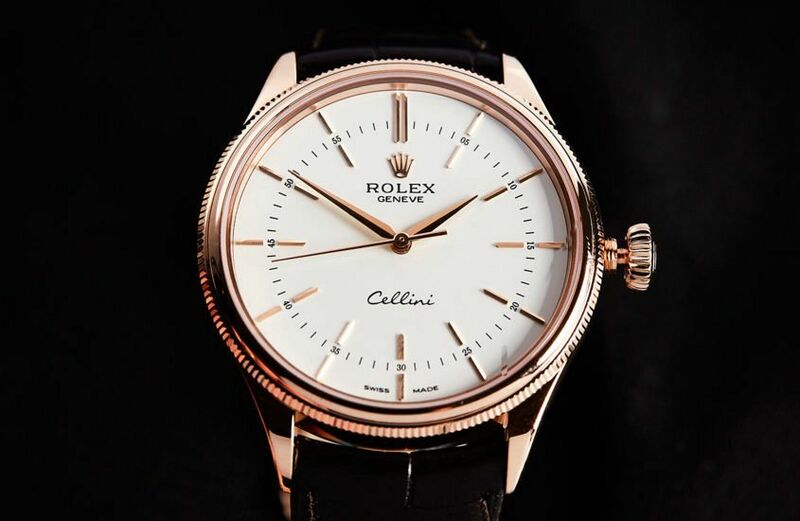 The Cellini name in the Rolex catalogue until 2014 has been synonymous with the Cellini Prince, which is a rectangular model, reprised most recently in 2015, that forgoes practically all of the Rolex details – fluted bezels and casebacks, crowns, recognisable bracelets and the like – and even added some details, in the form of a <gasp> clear caseback. 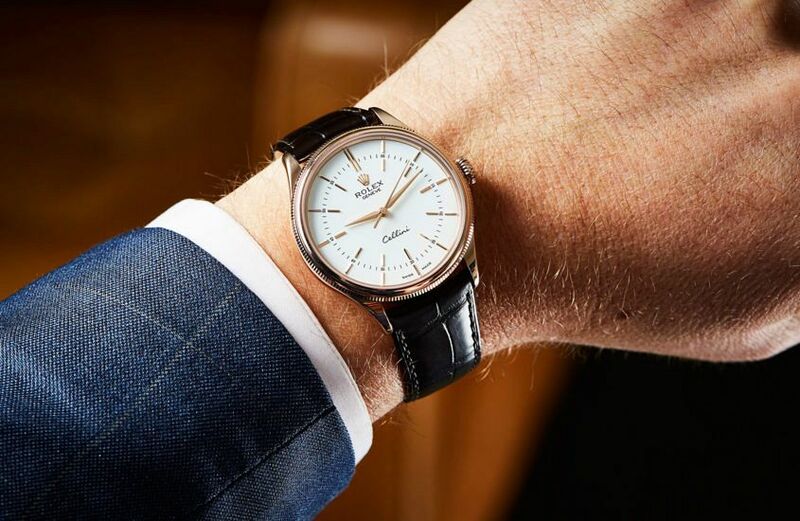 But where the Cellini Prince was not afraid to eschew its family traits, or go rogue every now and again (a clear caseback, on a Rolex, as well as a hand-wound movement? ), this Cellini, which actually is not a Prince by name technically speaking, is basically that handsome guy out of Shrek. Clearly cut from the family cloth, and almost annoyingly perfect to look at. What stood out to me was… The way the various Rolex details have been turned down — such as the audacity of the fluted bezel — and refined, while still being present and still being noticeable. 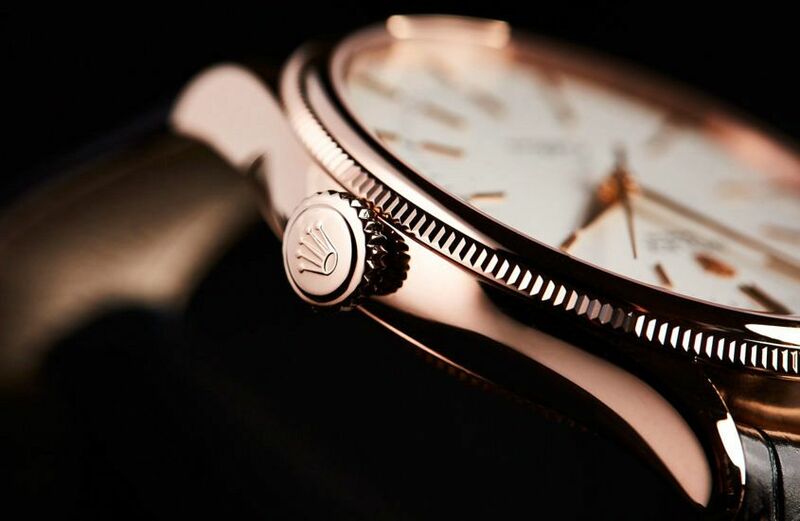 Put it this way, if the Rolex brand was a song, the Cellini would be a classical cover version – you know the tune, but it sounds very different! 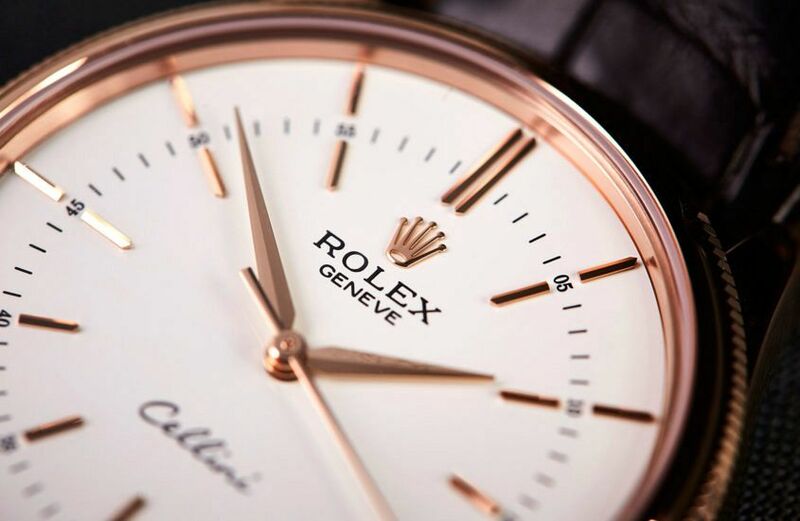 Put it this way, if the Rolex brand was a song, the Cellini would be a classical cover version – you know the tune, but it sounds very different! I’d wear this with… everything from smart casual up. Cocktail, black tie, wedding, all of the above. I tried it with a white T, blazer and chinos, various suits and even a fitted leather jacket – it had the effect of adding a stylish dress element without dominating too much. On the other hand, it didn’t bland out smart casual that has some flair, like the old blazer with pocket square and jeans set-up. The only jarring note was attempting to pair with a denim shirt. That didn’t quite work, there is definitely a limit to how casually this luxurious watch can be worn. If I could change anything… I know it’s pushing the friendship, but I would love to see a bracelet option developed for the Cellini range in general. I’d be so curious to see how Rolex would adapt their recognisable bracelet configurations and design codes to match this muted, classic style. By the end of the week… I was more enamoured of the idea of, pardon the pun, keeping a watch like this up your sleeve. And it’s not for the obvious reasons of just having a dress watch for purpose. What appealed to me most from this experience was that curious, squinty look that people would get trying to work out what watch it was – and then the predictable look of surprise: “Oh, it’s a Rolex”, and then the comment, like clockwork, “I didn’t know Rolex did dress watches like that.” It struck me about midweek that there is a supreme irony at work here. 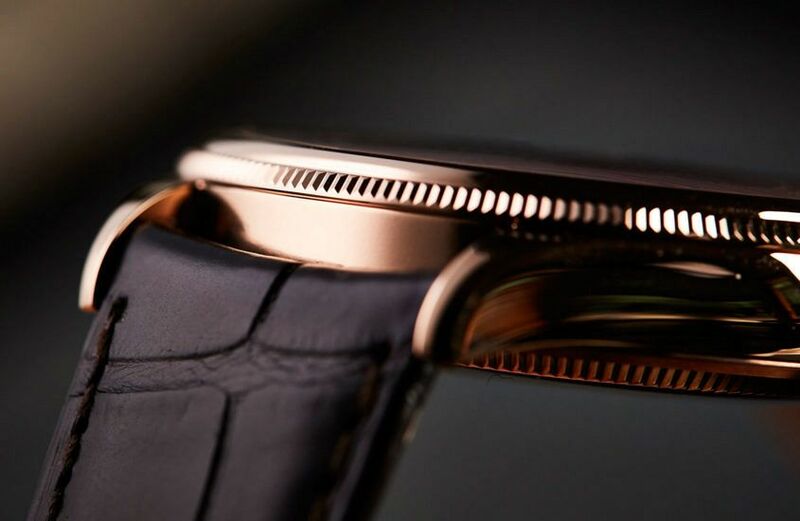 By releasing a watch that does not strive, through its recognisable proprietary details, to make a statement, it has had the net result of doing exactly that.